The following are just a handful of good places in North England in which to look for orchids - there are myriad other locations to explore, and orchids often crop up where you least expect them. For more suggestions, take a moment to visit the Wildlife Trusts' website (see Useful Links) and use their interactive map to explore their reserves near to you. A short drive over a tidal causeway brings you to Holy Island, home to the entire world population of Lindisfarne Helleborines, swathes of Marsh Heleborines, and myriad Early and Northern Marsh, Common Spotted and Pyramidal Orchids. Just watch out for the tide! This enclosed former quarry is the best place in Britain to see a host of Dark-red Helleborines with, amongst other orchid species, Marsh Fragrant Orchids also found on the quarry floor. A wide variety of orchids may be found here in this former railway cutting and embankment reserve, including all three species of fragrant orchid, and Fly and Frog Orchids. Home to a wide range of orchid species in stunning scenery. A magnificent complex of dune slacks and ponds that are home to thriving Natterjack Toads and Coralroot Orchids - both can be tricky to see, so it's best to liaise with the National Trust to join one of their guided walks for the orchids. This is one of a number of sites at which our endangered Lady's Slipper Orchid has been reintroduced - most are kept secret to protect the orchids, but Gait Barrows is prepared to host visitors who would like to see the orchids for themselves. 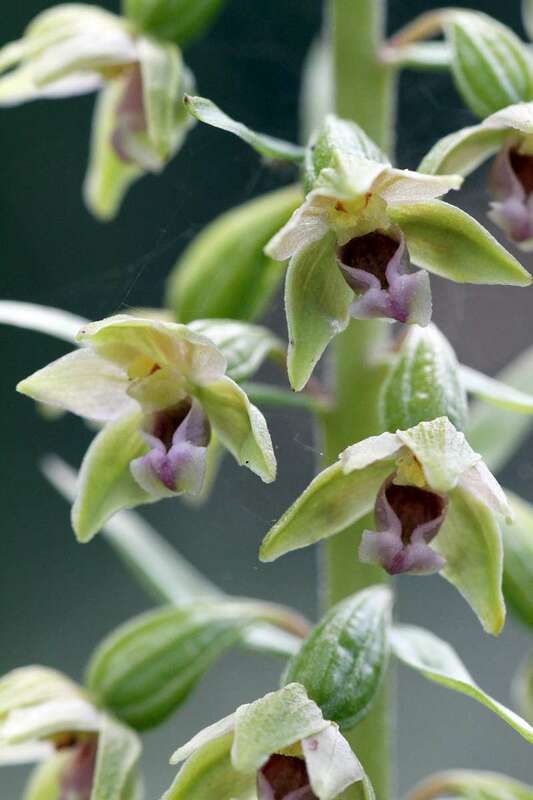 A good variety of orchids are to be found in the dune slacks and open woodlands of this National Nature Reserve - including Marsh, Green-flowered and Dune Helleborines.